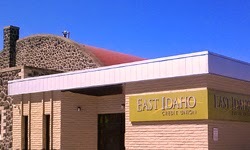 The East Idaho Credit Union will be holding the grand opening of their new facility on the corner of Front and West Grand Avenue on Wednesday, April 16th. There will be prizes, drawing and activities. 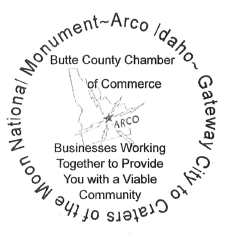 The Butte County of Chamber will hold a ribbon cutting at 11 AM to celebrate the grand opening. All Chamber members are encouraged to attend the ribbon cutting and support the CU which has been a strong long-term supporter of the Butte County Chamber! Helen moved to approve the agenda as presented / Clay / approved. Meeting was called to order at 8:05 a.m. Meeting minutes were amended by Shelly Rupp who asked that the Harvest Festival add Brad’s name to replace Shelly’s name as being on the committee. Motion was then made by Shelly to approve the minutes and Oded seconded them. Financial Report was texted to Melinda who then gave the financial report. There is $2,317.77 in the budget with $245.51 belonging to the Rodeo Fund leaving $2,072.26 as the final total. A motion to approve the financial report was made by Julie Hayward and Clay Condit seconded the motion. Trilby McAfee the Butte County Clerk turned her time over to Barb Anderson who talked about the Cancer Abration. The Cancer Abration balloons, walk and festivities Barb is the contact who can be reached at 709-4163. The baskets and bags ran out last year because of all the great business support which has been great in the past years. Oded Paz asked about asking for a donation with the balloons and Trilby told him that it’s a personal event the balloons are given to those who want to remember a loved one that has passed from cancer and other events are better for asking for donations. Letters asking for sponsorship will go out on March 12th. Rocky Mountain Power donated poles for banners which substantial money would be required to use so they may be looking into selling them and getting another donation for a new sponsor for easier to use poles. The DOT has to approve any banners before posting and there is a not access rule to the banners. Cancer Abration is looking for sponsors to buy banners which average about $500 and there will be a total of 3 banners. Oded would like to put up a sign with an interchangeable with ads for motels, community activities and businesses with locations. Right a way Guy with the DOT would have to approve any signs being put up.